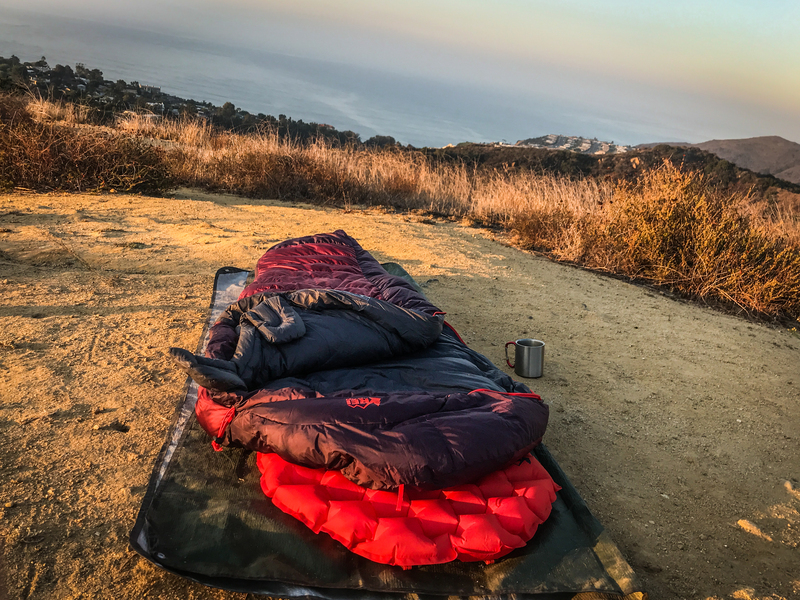 When you're out on the trail pushing big miles day after day, you don't want to have to worry about whether you'll be getting a good night's sleep once the sun sets and you crawl into your tent for the night. You want to make sure your body is well rested and warm enough when night falls so that you can stretch your arms overhead, yawn, and happily hop out of bed the next morning when the sun starts to rise. A great sleeping bag is one of the top three items I tell new backpackers to buy. It's the most crucial piece of any sleep system, and it can also be a vital safety net if a sudden storm hits or temperatures drop much lower than expected. When considering which sleeping bag to purchase, you really want to look at three main things: weight, warmth, and how packable it is. Other bells and whistles can be considered later, like shape, ventilation, and pockets. Pound-for-pound, down is the warmest and most compressible material on the market today. Down is rated by its fill-power, which relates to the loft of the tiny feathers and their ability to trap heat. A 600-fill down sleeping bag means that one ounce of down fills 600 cubic inches of space. High-quality down can be rated at 800 or even 900-fill power, meaning that you get more warmth for less weight and even more compressibility. Though down doesn't insulate well when wet, most companies have begun washing their down with a hydrophobic coating to protect against minor rain and tent condensation. 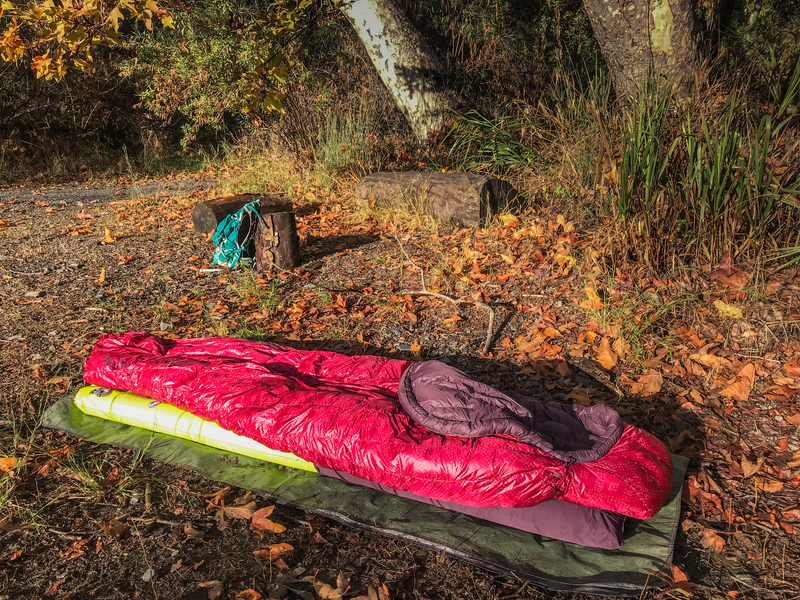 We recommend these women's sleeping bags for the casual to serious backpacker, and have laid them out side-by-side to make it easier to find the best fit for your needs. The bags below are listed by weight, with the lightest bags first. The REI Joule 21. Photo by Emily Pennington. Price: $300-$320. Available at REI. The Joule 21 is a great three-season bag made out of the same, 20D nylon ripstop and taffeta that comprise many similar bags from big-name outdoor retailers. Coming in at just over 2 pounds, it's a lightweight alternative to bulkier bags, making it the optimal choice for those who want to cut back on weight and go ultralight. However, it is also the least warm bag on this list, which is one of the reasons it also weighs in as the lightest. If you're looking for a summer bag that is lightweight enough to haul into the alpine, the REI Joule 21 is a fantastic option. Plus, the deep burgundy color it comes in looks incredible in person. The North Face Blue Kazoo. Photo by Emily Pennington. Price: $280-$310. Available at The North Face | Backcountry. This is a great women-specific take on The North Face's classic Blue Kazoo. 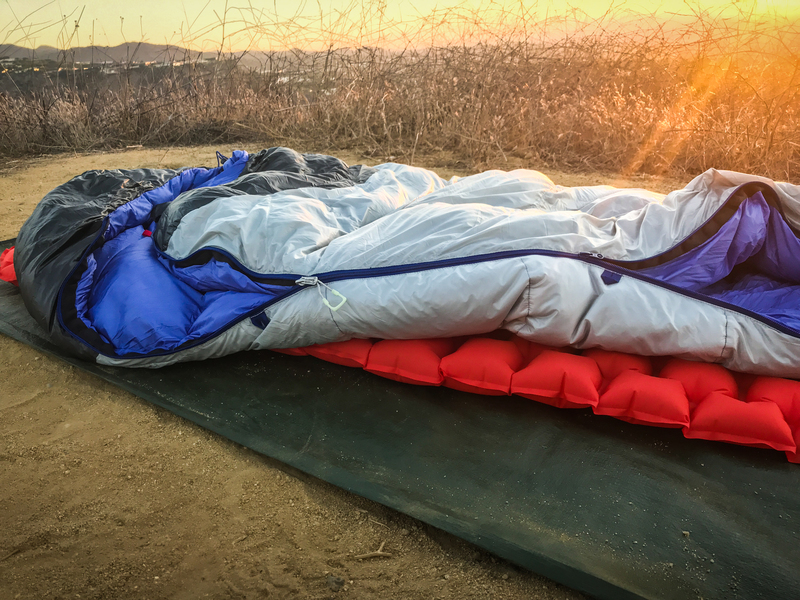 At the ultralight weight of just over 2 pounds (for the regular), The North Face's Blue Kazoo sleeping bag delivers a comfortable, toasty night's sleep without breaking the bank. Full of 700-fill ProDown, I found it to be the most compressible bag on the list. It doesn't skimp on important features, and it even comes complete with a compression sack to fit it into your backpack more easily. This bag stayed warm during 20 degree (F) nights in the Himalayas, and it would be an excellent choice for a multi-season adventurer who loves to get after it during frigid shoulder season months. The Big Agness Hazel SL 15. Photo by Emily Pennington. Price: $300-$310. Available at Big Agnes | Amazon | Moosejaw | Backcountry | REI. The Big Agnes Hazel SL 15 is a lofty, warm down sleeping bag option for women who don't mind a mummy bag shape (ideal for back sleepers) and who appreciate a wealth of extra features. The customizable hook and loop system to cinch the bag down around the foot and leg areas is the first of its kind and a great addition for women who have issues keeping their feet warm on cold camping nights, and the unique ability to turn the storage sack into a sleeping pad holder was truly original! This bag was a bit heavier and less compressible than its competitors, though, so it's ideal for campers who have at least a 60-liter pack or who frequently car camp. The NEMO Jam 15. Photo by Emily Pennington. Price: $390-$420. Available at NEMO | Amazon | Backcountry | Moosejaw | REI. 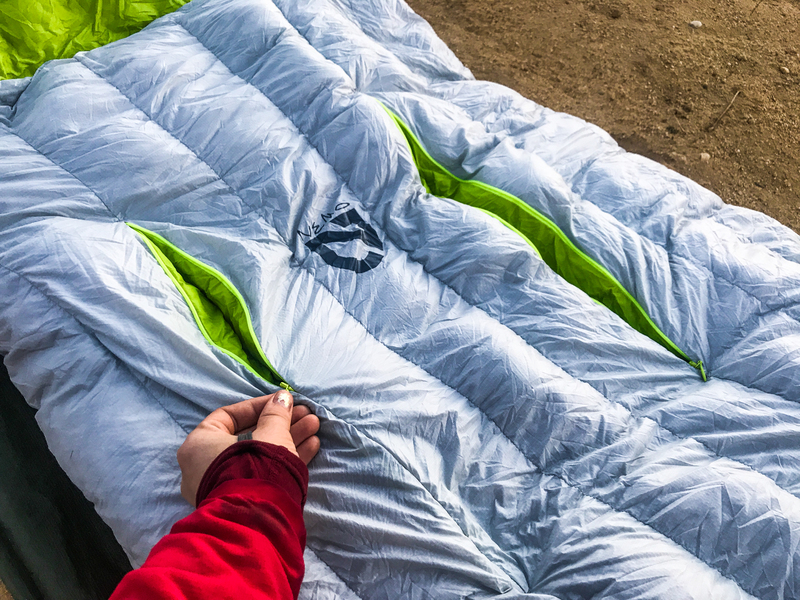 The key things to know about this sleeping bag are that it has features galore, its warmth is truly snuggle-worthy, and the 30-denier nylon taffeta lining will have you feeling like you are sleeping on a cloud, even on arctic nights in the backcountry. Our testers fell in love with the Jam's unique spoon shape, making it the comfiest choice for stomach and side sleepers. The Jam 15's extra features like zippered vents down the bag's front and an included compression sack were noteworthy and useful, justifying its higher price tag. Though it is a bit pricier than other similar options, the Jam's wider spoon shape and its tally of added features make it a must-have sack for side sleepers who have trouble getting Zs in a mummy bag.